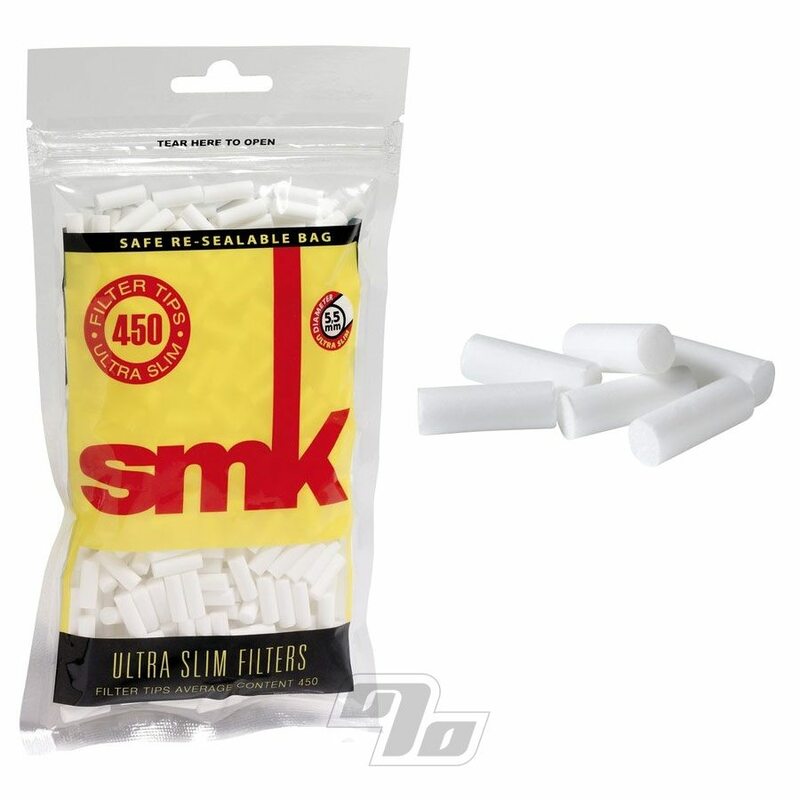 Go ultra with your hand rolled smokes with these new smk Ultra Slim Cigarette Filters, in a bulk bag of 450 filters. These ultra slim filters from Smoking brand papers come in a handy resealable bag. smk Ultra Slim Filters are sized 14mm in length and 5.5mm in diameter, suitable for slimmer roll-ups. Perfect complement to a pack of fine rice smk Gold Rolling Papers.